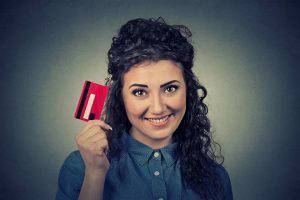 Understanding the difference between a credit card and debit card allows you to make wise financial decisions. Debit cards and credit cards are accepted at the same places around the world. Debit cards all carry the symbol of one of the major types of credit cards on them, and can be used anywhere that credit cards are accepted. They both offer convenience especially with the introduction of contactless and Apple pay. The fundamental difference between a debit card and a credit card account is where the cards pull the money. A debit card takes it from your banking account and a credit card charges it to your line of credit. Debit cards draw money directly from your account when you make the purchase. They do this by placing a hold on the amount of the purchase. Then the merchant will send the transaction to their bank and then transfer to the merchants account. It can take a few days for this to happen, and the hold may drop off before the transaction goes through. For this reason, it is important to keep a running balance of your account to make sure you do not accidentally go overdraw on your account. It is possible to do that with a debit card. This is a card that allows you to borrow money in small amounts at merchants. The credit card company then charges you interest on your purchases. Although there is normally a grace period of approximately thirty days before interest is charged, if you do not carry your balance over from month to month. Credit cards have high interest rates and are a revolving line of credit that you can use again after you pay it down. Your credit card balance and payment history can affect your credit score. In the past many people felt that credit card was needed to complete certain transactions such as rent a car or to purchase items online. They also felt that it was safer and easier to travel with a credit card rather than carrying cash or trying to use your cheque book. However debit cards offer the same convenience without making you borrow the money to complete the transactions. It can be difficult to determine when to use which type of card. Some argue that a credit card offers additional insurance on purchases and makes it easier to request a refund or a return. You should carefully read the disclosure information for your credit card to understand the benefit. ← Do you know your currency?